Still cranking away – I think I’m about 5 days away from finishing the encounters – then I have to draw some maps, write all the regional/random encounter stuff, etc. Mutant Truckers is looking pretty good as well – these two articles will make up the bulk of NOD 10. Then I just have to figure out what the heck I’m doing with NOD 11 – anyone interested in a hexcrawl set in a pseudo-Dante’s Hell? 5916. House of Clones: At the foot of the mountains there is an old manor built of wood, with domed towers and a peaked roof. The manor has extensive gardens of cherry trees, creeping junipers, roses, chrysanthemums and ponds of goldfish. The manor is home to a secret society of men and women who are clones – created by a shugenja, Jutem, as part of his plan to conquer the empire. The men and women are clones of nobles now largely deceased, aged and replaced by their sons or daughters, or removed from power with the change of imperial control. The clones are now unable to serve their original purpose, but they are still ambitious and possessed of a desire to rule. They have thus begun the slow task of gathering an army of humanoids from the mountains, their first target being the port of Artuk. 6021. Plateau of Jackals: Much of this hex is taken up by a rugged plateau of rocky outcroppings and long grass. The plateau is surrounded by an abyssal chasm that exhales foul gases (save or suffer 1d6 points of burning damage to the lungs). In the south, there is a single wooden bridge with a 10 foot gap in its center and signs of burning – perhaps the work of a fire breathing dragon. 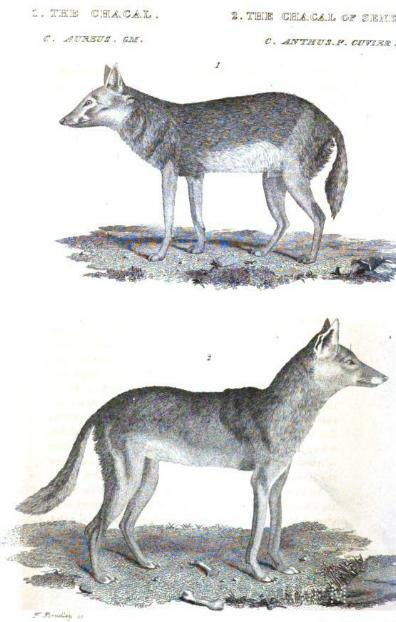 The plateau is hunted by three packs of jackals. Each pack contains 1d3 x 10 animals. There was once a sprawling village of grass huts in the center of the hex, but those huts have long since been burned to the ground. The village is now a series of shallow graves, many disturbed. Night encounters with ghouls (1d6+1) occur on a roll of 1-3 on 1d6. The ghouls have burrows into the earth, most of them rather small, but some networking into a series of deeper tunnels that smell of the same acrid smoke of the chasm, but without the negative effects. The ghouls of the plateau number 30 in all. Roll treasure for them randomly as they are encountered – their burrows can also be generated randomly. They go no deeper than 3 levels, and at the bottom level there dwells their chief, an oversized brute called Myan. Myan possesses the great treasure of the plateau, a pair of +1 sode constructed of leather scales dyed black and ornamented with ivory carvings. The sode give the wearer an acid touch (1d6 damage) and likewise cause any weapon they wield in anger to drip with acid, causing an additional 1d6 damage per hit. A Dante hex-crawl would indeed be interesting! More cool Mu-Pan encounters, too.